Pinterest is a social network that allows users to visually share, curate, and discover new interests by posting (AKA 'pinning') images or videos to their own or others' pinboards (i.e. a collection of 'pins,' usually with a common theme) and browsing what other users have pinned. Using a visual emphasis, the social network is very much focused on the concept of a person's lifestyle, allowing you to share your tastes and interests with others and discover those of likeminded people. The social network's goal is to "connect everyone in the world through the 'things' they find interesting." 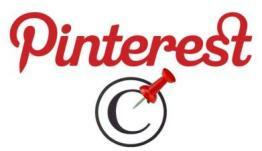 Users can either upload images from their computer or pin things they find on the web using the Pinterest bookmarklet. Maggie Georgieva is an inbound marketing manager at HubSpot responsible for creating new offers, including ebooks and webinars. She has previously helped with HubSpot’s email marketing program and the company’s landing page creation and optimization. Maggie is a prolific marketing blogger and has also written for publications like BostInnovation.com and The St. Petersburg Times.